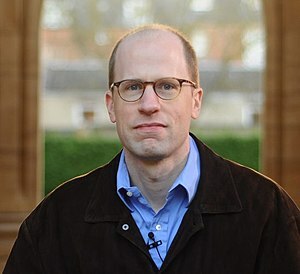 Nick Bostrom is a Swedish philosopher and transhumanist at the University of Oxford who studies a number of futurist areas and currently heads up the Future of Humanity Institute. As a director he coordinates and conducts researches on crucial points to the progress and future of humanity. He is known for his work on Artificial General Intelligence (AGI), Existential risk, Biological Cognitive Enhancement and Whole brain emulation. He has personally raised more than 13 million dollars on research grants, awards and donations. He was a co founder of the World Transhumanist Association and the Institute for Ethics and Emerging Technologies, was an adviser to the former UK Transhumanist Association and worked with Extrobritannia. Existential risk – hazards with potential to destroy the entire human race, a concept he was the first to define, give attention to its large ethical relevance and untangle its particular difficulties. Cognitive Enhancement – developing and heuristic about how to safely technologically enhance human condition. Infinities in ethics - how to act in a universe where any finite action doesn’t add up good to a infinite world. Anthropic principle – a better and sound formalization of the anthropic principle, where one must think as a random member of its own reference class. Bostrom has a BA in Philosophy, Mathematics, Mathematical Logic and in Artificial Intelligence; MA in Philosophy and in Physics; MSc in Computational Neuroscience and PhD in Philosophy. One of his theses in philosophy entered the Routledge Hall of Fame, and made a formalization of the anthropic principle, giving birth to the Strong self-sampling assumption (SSSA): "Each observer-moment should reason as if it were randomly selected from the class of all observer-moments in its reference class". With this formalization many paradoxes emerging from intuitive versions of the anthropic principle were avoided. Later, the kind of reasoning developed in his thesis lead to many other insights, such as the Simulation Argument, demonstrating that there is a considerable chance that we are living inside a computer simulation. Devoted to the question, "Are you living in a computer simulation?"